Maurice C. Robinson is a distinguished and senior member of the Jamaican Bar. He specialises in Trademark Law, a field in which he has over 40 years of experience, and practices both in Jamaica and the Cayman Islands. Mr. Robinson holds a B.A degree from the University College of the West Indies and was admitted to practice in 1959. 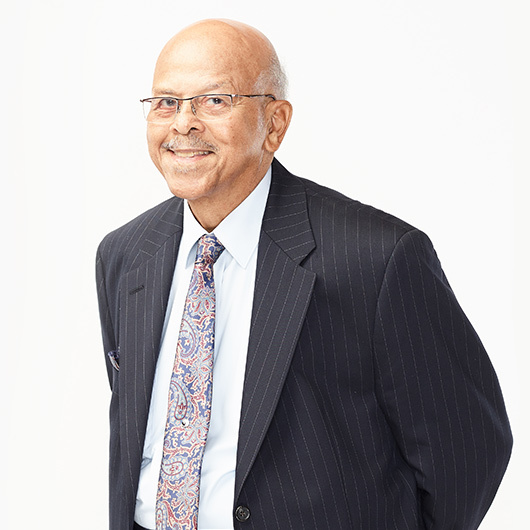 From 1972 to 1977, he served as Chairman of the Jamaica Public Utility Commission, and currently sits on the boards of several major Jamaican companies.